The two-seater is fast up to 200 km / h.
If desired, pedaling is also possible. It is 3.04 meters long, 1.55 meters wide and 1.25 meters high. Pedal for two at up to 200 km / h. No problem with the Twike 5. The wheelbase measures 2.30 meters. Braking is with a 2-circuit brake system (disc brakes front and rear). The manufacturer of the electric trike Twike has given the Geneva Motor Show an up-to-date look at its latest product. 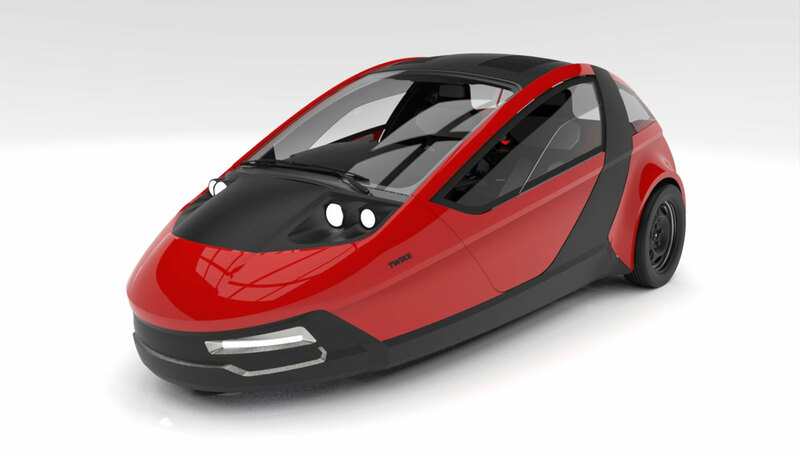 The model 5 is to drive up to 190 km / h fast, but consume only half as much energy as conventional electric vehicles. Twike has so far concentrated on electric tricycles with a top speed up to 85 km / h. The model 3, which has been produced in small series since 1995 and has been further developed from a recumbent concept, adds extra pedal support to the range. In 2010, the Model 4, which is suitable for highway speeds of 120 km / h, was developed for a US competition. The new Model 5 focuses on more safety reserves and even lower fuel consumption. 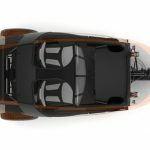 Thanks to a newly developed chassis and better aerodynamics, a speed of over 190 km / h should now be possible - but only as an option for Twike customers who provide "proof of driving experience". 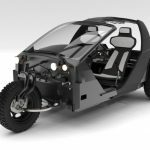 In Geneva, the Twike 5 was presented without an outer shell to demonstrate the structure, chassis, roll bar, windscreen frame as well as the interior and the pedal system. In terms of weight, the manufacturer has set a limit of 499 kilograms for the finished product. The range with the largest of three batteries offered with 31.5 kWh capacity is said to be more than 500 kilometers. 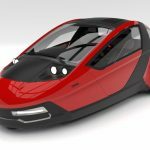 Twike wants to realize the market launch of the model 5 together with "pilots and friends". 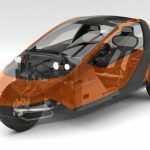 "That's what we call Twike Community Funding," says the company. The project is financed by a fixed rate loan, the amount of which is determined by the donor. "He invests the money almost as interest-bearing down payment on a Twike," they say. Once the new Twike model is ready for the market, loans can be converted into an order. The order of delivery depends on the amount of interest generated in the meantime and the date of receipt of the reservation. Alternatively, loans may be redeemed or granted on a long-term basis. 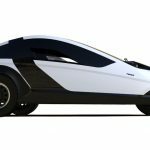 Twike wants to build the model 5 "today rather than tomorrow", currently is still working on a test vehicle. If this is on the road, fine tune the chassis, drive and control are made. Once two million euros and at least 200 orders have been received, the production should start. Question: Have you ever thought about having the option of having a trailer which could carry a battery for even MORE mileage? Dear John, how many miles would you need? The TWIKE 5 weight is <500kg and therefore a mileage of >300 miles is already possible. But yes, the TWIKE 5 has the option of a hitch, so a trailer is possible. But why extra battery? Since fast charging is also possible with the new vehicle. Let’s TWIKE 5!